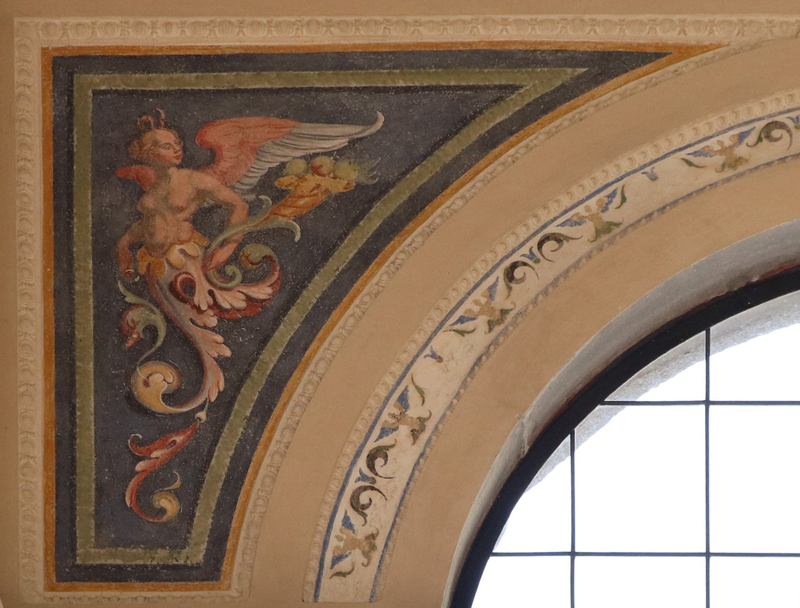 Designed by Bartolomeo Ammannati, the Loggia is part of the complex reconstruction project of the Palazzo. 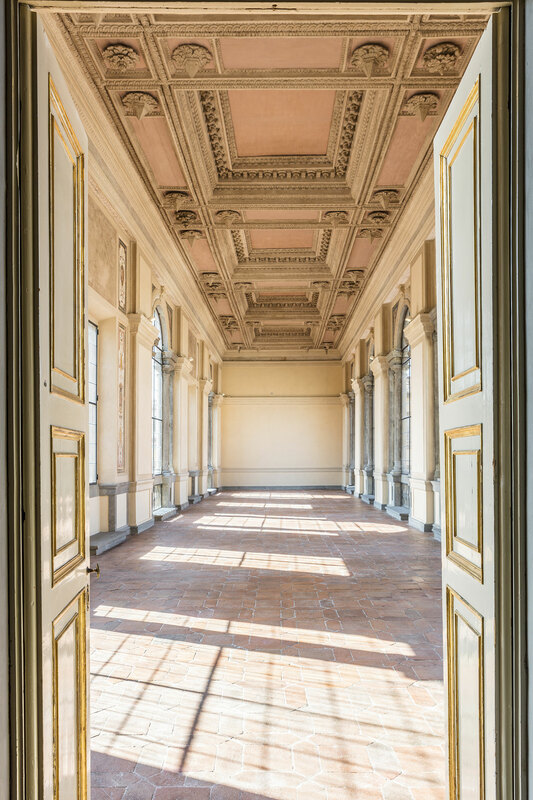 The building was realized with the idea of closing Cortile degli Svizzeri and designed to be the entrance of honour to the Palazzo. 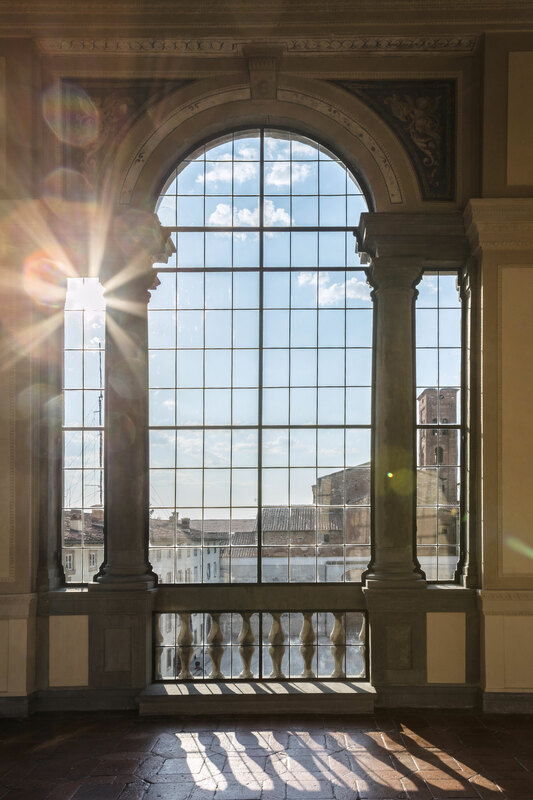 In appearance, the Loggia is a majestic gallery overlooking Piazza Napoleone with its bright sandstone windows. On the east side, three mullioned windows with balustrades and little turned columns alternate with two classical windows, while on the west side five mullioned windows have been inserted. The sixteenth-century floor is covered with large polygonal terracotta slabs. 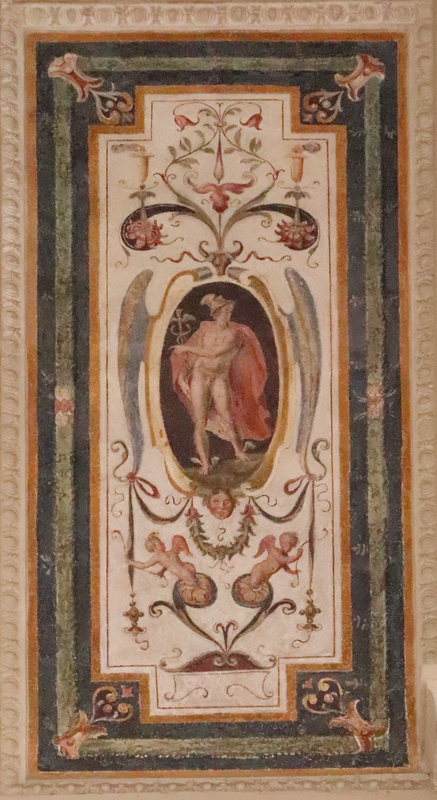 The coffered ceiling is also attributed to Bartolomeo Ammannati. 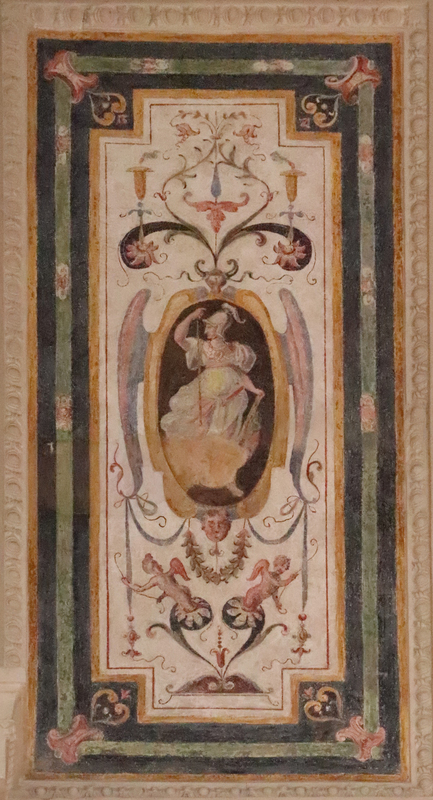 The five deeply sunk panels are emphasized by rows of corbels with rosettes and cornices in a variety of decorative forms. Also the structural nodes are highlighted with more rosettes, carved with jutting pyramids. Around the windows original decorative grotesques are present.